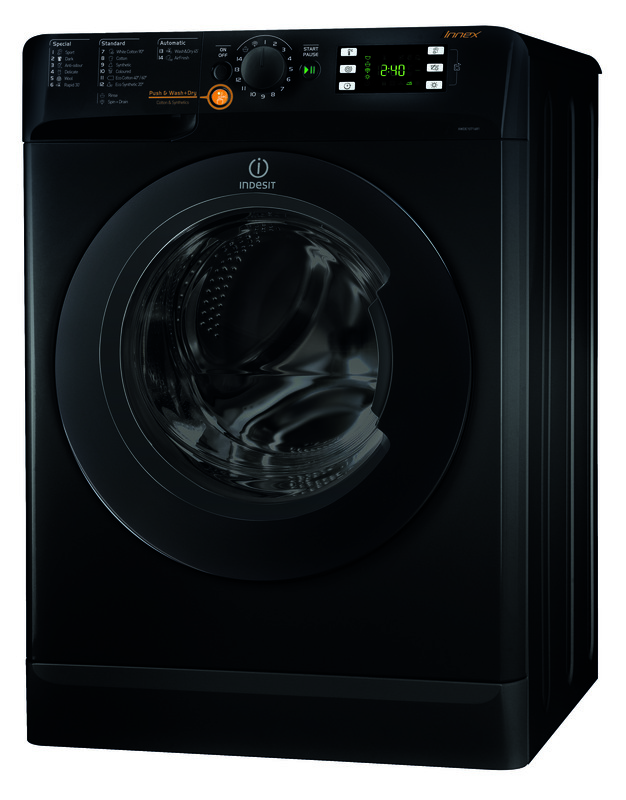 This Indesit freestanding Washer Dryer features: outstanding 7kg washing capacity. Spacious 5kg drying capacity. A fast, resource-efficient 1400 revolutions per minute spin speed.